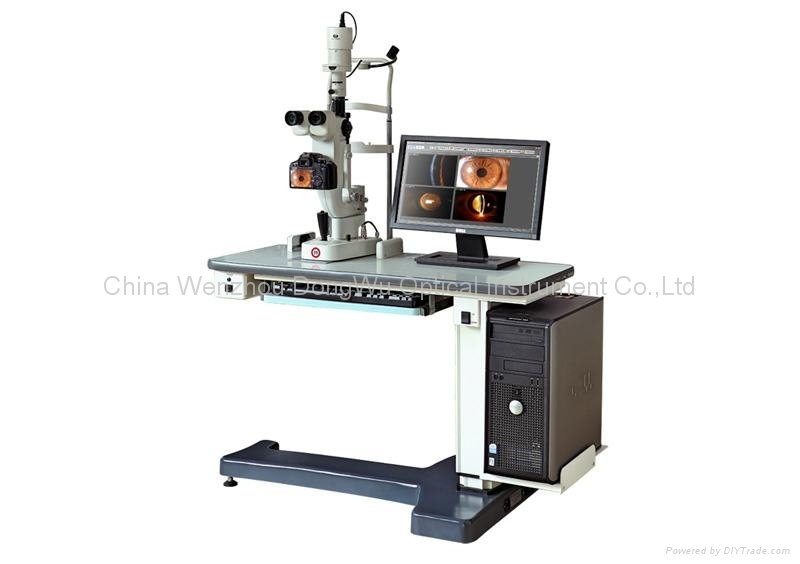 Advantages︰ •What doctors see from eyepieces is showed synchronously on camera display screen, which is very convenient for the doctors to capture the best and clearest pictures. •Photos taken by the 12.4 megapixel camera. •Background illumination specifically designed for darkroom environment. •Fine photos immediately taken by the button on joystick. •Used for establishing the full data of patients, processing images, measuring the length, area and so on.